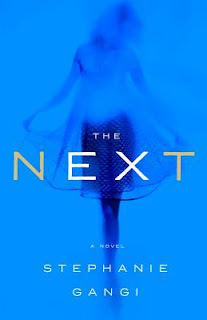 What They Say....T​he Next is a novel of love, revenge, and a ghost who can’t let go by a hot new voice in literature. What I Say....This may not have been the right time of year for me to read this book. This election has been unending hatefulness, it feels like we are voting people out of the Big Brother house, rather than electing the leader of our nation. The vitriol on my Facebook feed from both sides has led me to delete the app and commit to staying off of social media as much as humanly possible, at least until after the election is done. I've been watching grown adults call each other "stupid", "idiots" and "murderers". I really hope that these same adults don't encourage or allow their children to talk to other kids like this - but I'm quite sure that their kids are absorbing the ugliness of this election too. So I'm quite certain that I was not in the right frame of mind to start this book. I was expecting a fun ghost story by the book blurb, but I'm afraid there was nothing fun about this book. Just more negative emotions, when I already feel like I'm being beaten to death with those all day every day due to politics. Joanna is dying of cancer. She is spending her last days in her bed obsessing over her phone. Not so she can communicate with anyone, but to search social media for her ex-boyfriend's new girlfriend. Yes, she is in her 50's, dying in her bed, ignoring her daughters so that she can stare at her phone. Jesus, this was frightening. In the first place, it made me want to jump on eharmony immediately so I could make sure that i don't die alone. Then it made me want to quit all social media immediately so I never ended up ignoring my family on my deathbed. Lastly, it made me start hating Joanna. Once Joanna dies, she quickly finds herself in ghost mode. And her focus continues to be on her ex and how much she hates him. No matter that he is a small man, not really happy himself even with a wealthy, beautiful pregnant fiancee. And no matter that her daughters are barely keeping their lives functional, Joanna spends all of her after life energy haunting her ex. The story focuses almost completely on Joanna's revenge, which ultimately takes shape in making her using her power to make her ex dance provocatively with a co-ed, which is then posted on social media. Not sure how a dance can be that impactful, but once Joanna has ensured that his new relationship and career are over, she can begin to move on in her afterlife. The whole storyline made me extremely anxious. I really hope that at the end of our lives we aren't reduced to worrying about ex-boyfriends. I really hope if I became a ghost, I wouldn't waste my time seeking revenge on someone who didn't really care about me, and try to ruin the life of a woman who didn't even know I had ever existed. Jealousy - what a waste of time, and so scary to think you might feel that even after death. Lots of people loved this book according to the Goodreads rating, so like I said, it may have just been the wrong time of year for me to read it.